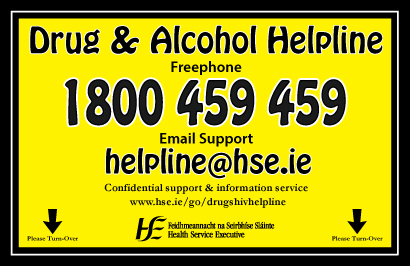 The HSE Drugs & Alcohol Helpline provides support, information, guidance and referral to anyone with a question or concern related to drug and alcohol use and/or HIV and sexual health. The service is non-judgemental and offers space to talk about your situation, to explore some options and to consider your needs. During calls/ emails, staff refer to a database of over 400 services nationwide. If you have any questions about our service, feel free to get in touch. The Helpline is a member of the European Foundation of Drug Helplines (FESAT) and Telephone Helplines Association (UK).